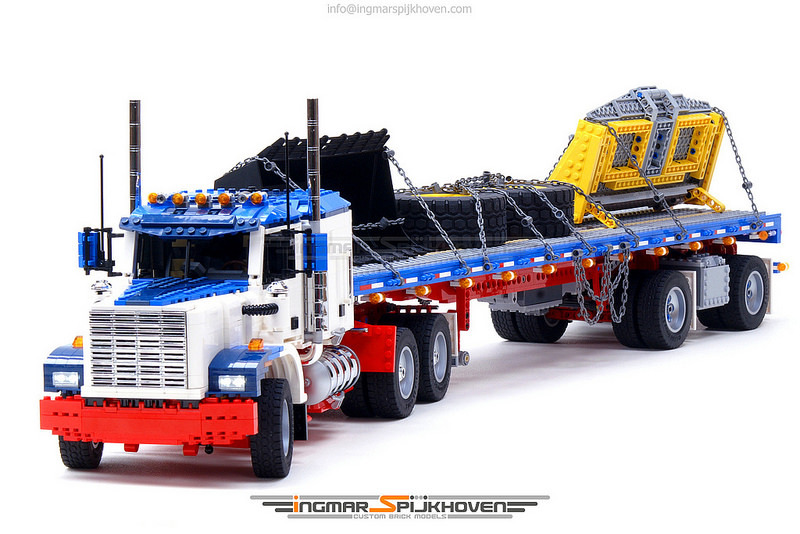 If you find yourself stressed out about a big move, why not procrastinate in the best way possible and build a LEGO moving truck? 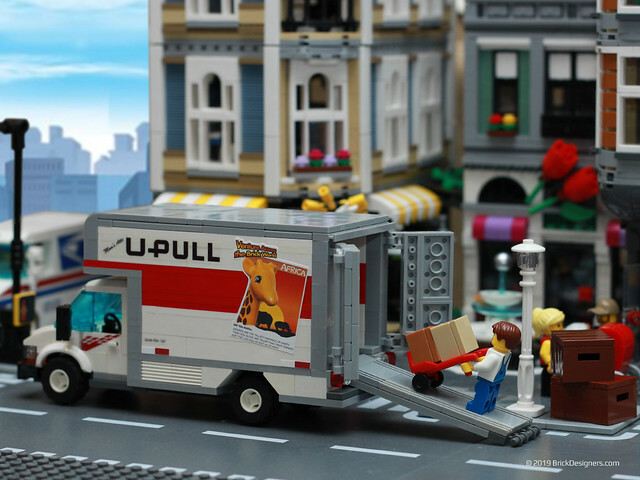 Robson M’s “U-Pull” truck looks delightful with its rear doors open, perfect for loading all your minifigure belongings. The design and name of the truck are clearly inspired by those iconic U-Haul trucks often seen while driving along North American highways. 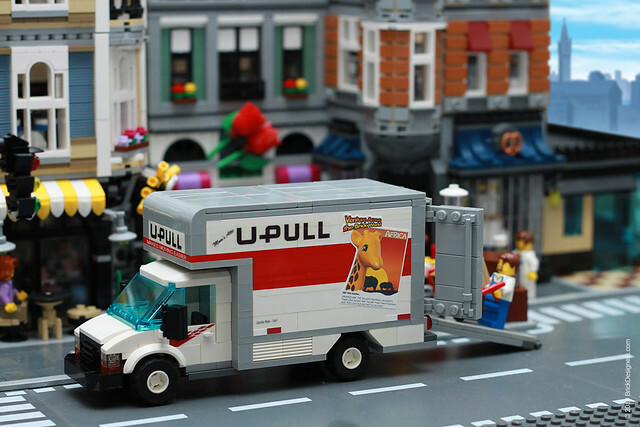 The U-Haul company is famous for the region-specific artwork gracing the back sides of its trucks, and Robson M’s “U-Pull” follows suit with an African-themed Duplo motif. Robson’s vehicle looks great from both angles and fits nicely in front of Assembly Square. It turns out building too much with LEGO has its cons. 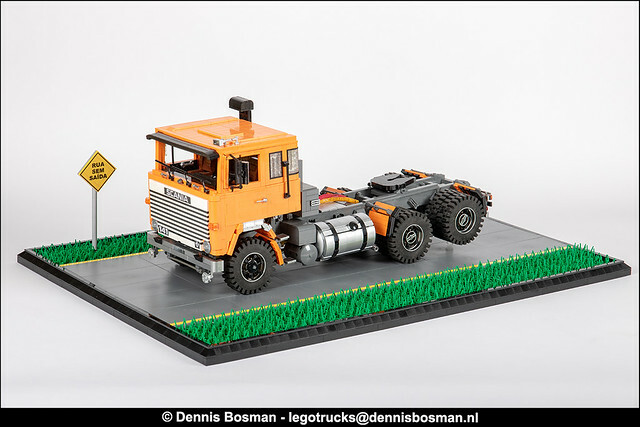 Look at Dennis Bosman, who cut his teeth on building some of the most jaw-dropping copies of heavy rigs and trucks! 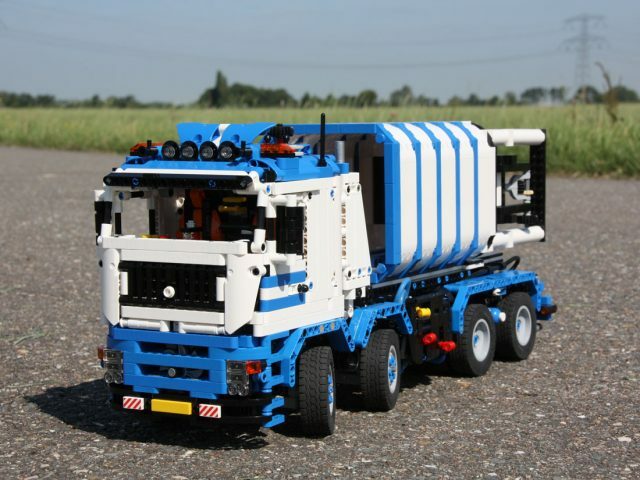 With his enormous experience, building yet another popular European truck might become repetitive. This is also when finding inspiration for the next build might prove challenging, but Dennis is full of surprises. How about an orange Swedish Scania LK141 roaming the roads of Latin America? 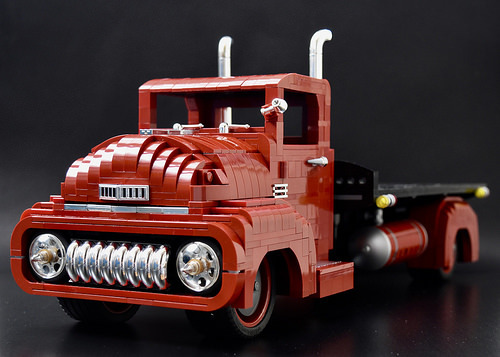 Dennis wouldn’t be himself if he didn’t manage to deliver another brick-built masterpiece. Removing the cab reveals a fully-finished chassis, and it’s so easy to fall in love with all the tiny mechanical details. Individually, each of them (gas tanks, tubes, mudguards, etc.) look rather clean and simple. When blended together, the results look outstanding. When it comes to fan-built Back to the Future models, there are a plethora of DeLorean time machines out there. 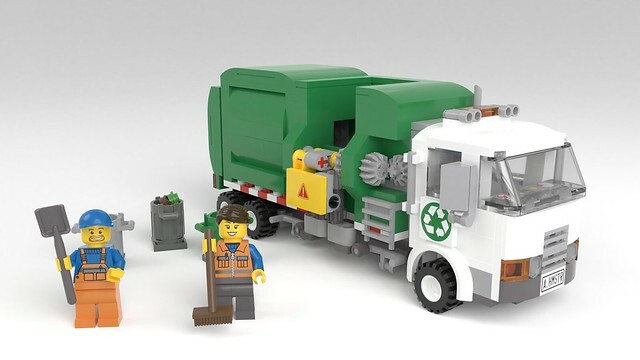 Heck, there was even an official LEGO set! While I love the DeLorean as much as the next person, who can forget the 1985 Toyota SR5 pickup truck (also known as the Hilux outside of the U.S.)? This was the truck Marty McFly pined over with his girlfriend, became a reality when he returned home to a transformed 1985, and nearly ruined his life when Needles called him “chicken” for refusing to race. 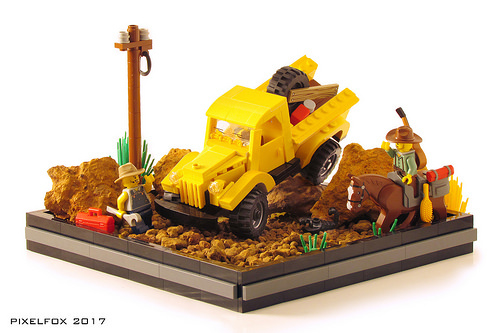 Fortunately, Nikolay Gamurar remembered Marty’s truck and built a fantastic rendition of the vehicle in Technic form. 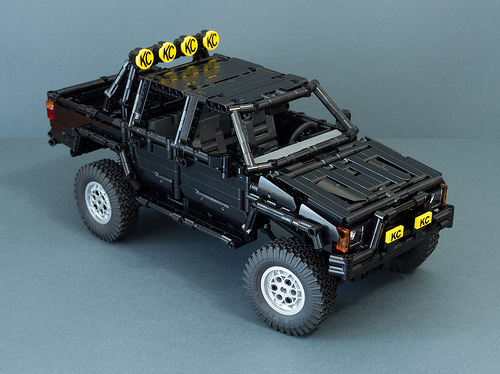 While the Toyota from the movie was a two-door model, Nikolay modified his truck to have four-door extended cab. 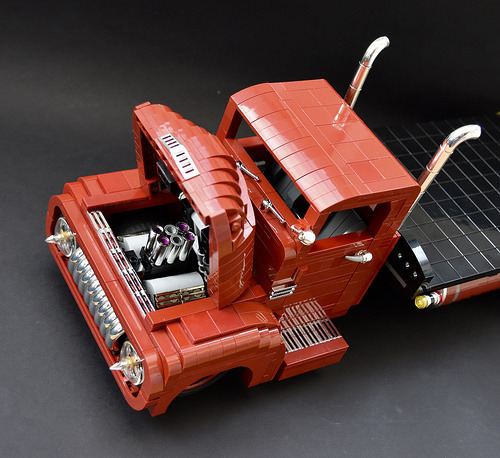 Outside of this mod, the sculpting of the rest of the body feels faithful to the original truck. 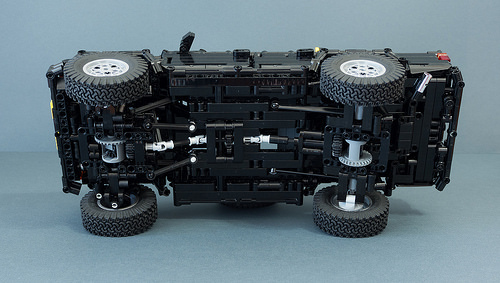 As a Technic build, it looks stunning in black. 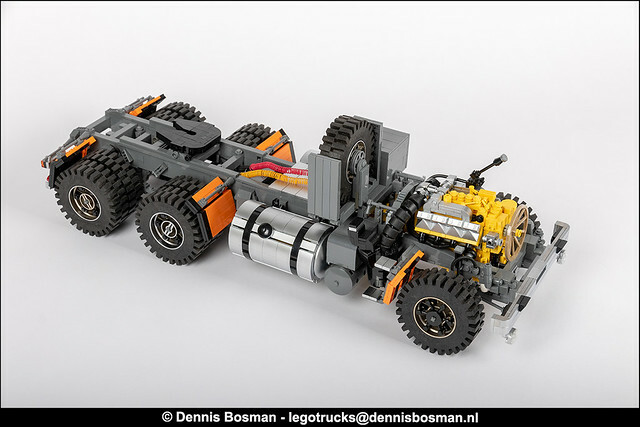 Nikolay’s truck is packed with a lot of detail, right down to the Chassis. This photograph also gives at glimpse at some of the Toyota’s key mechanical functions. It also features a nice and roomy interior, perfect for a comfortable drive to the lake. 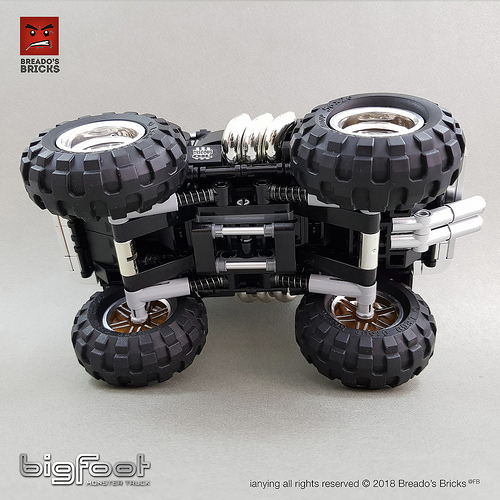 This little monster truck by Ianying616 is ready to crush cars! 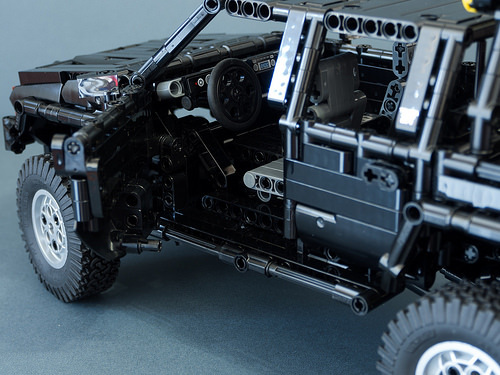 Perfectly detailed with some choice chrome parts, And a working suspension using classic technic shock absorbers. And considering how difficult it can be to photograph black models, the details are well captured as well. 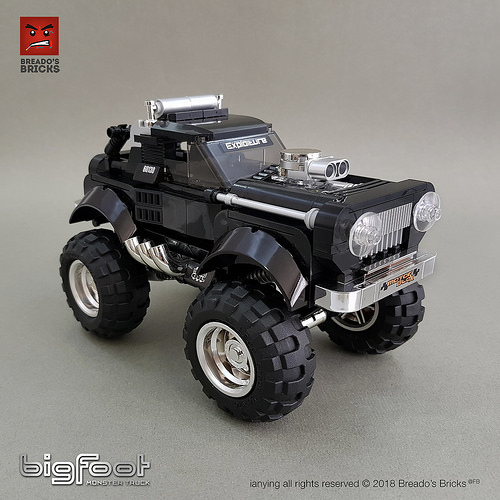 One of the most impressive things about this build is how it captures the sense of car crushing power on a proportional scale. What’s in the box, er, silo? 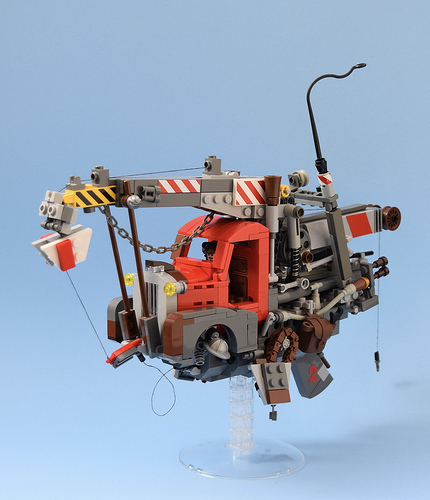 This Technic Silo Truck by Designer-Han shows that sometimes boxy is sooo good. 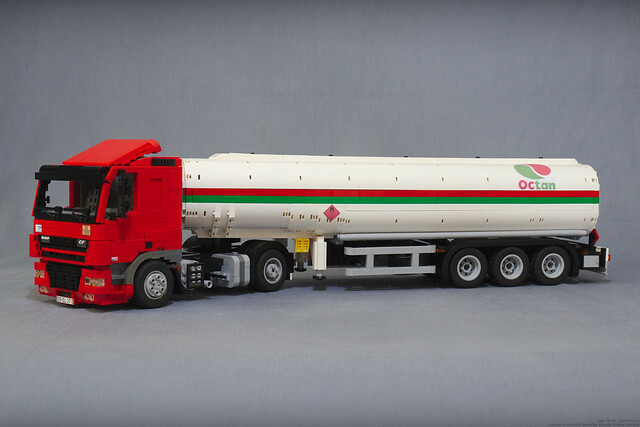 The design elements of the model are pretty simple, with beam-built body panels and a SYSTEM brick-built “silo” as cargo. The roof of the cab shows some thoughtful details, including a rack of lights, top air dam, and CB antenna. 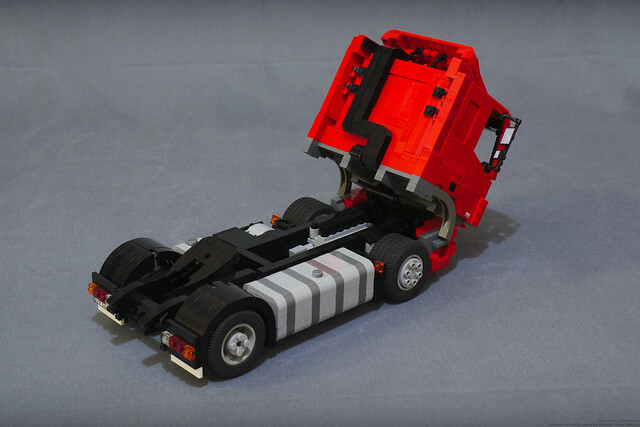 Loosely based on a 1950 custom Ford, Martin Redfern‘s latest LEGO vehicle is a retro delight. The shaping around the bonnet is sheer class, and the use of chromed parts adds visual pop, particularly around the distinctive grille. 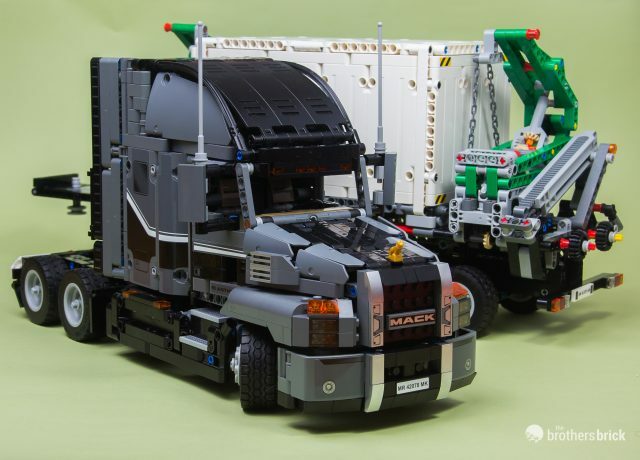 The details are great — twin high-rise exhausts, windscreen wipers, rear-view mirrors, and indicators all present and correct. Best of all, Martin has included a beautifully-tuned engine beneath that curved bonnet. Lovely stuff.